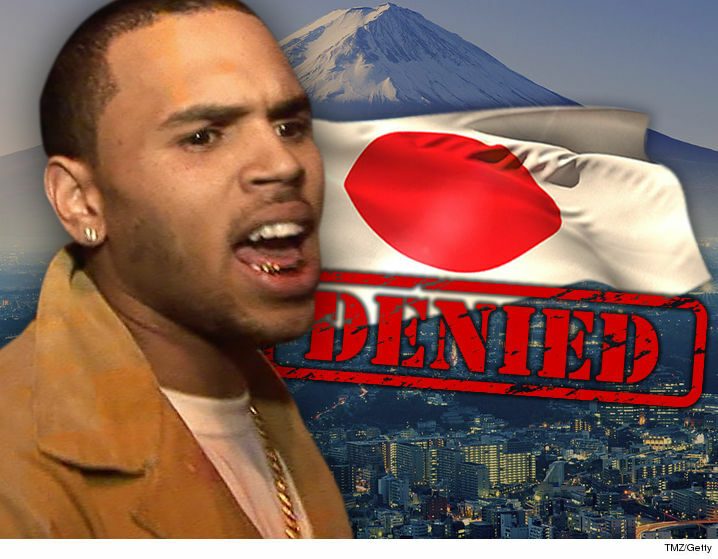 Chris Brown fans in Japan are getting screwed by LAPD's investigation into his gun case ... which is preventing the singer from boarding a jet plane to perform there. CB has shows scheduled in Tokyo next week and sources close to Chris tell us he applied for permission to enter the country on a working visa. However, we're told Japanese officials flagged Chris and denied him entry due to the investigation into claims he pulled a gun on a woman. A Japanese consulate official tells TMZ the country has a very low tolerance for admitting visitors with criminal backgrounds and open cases. Brown faced this same kind of scrutiny in Australia over his probation due to the Rihanna case. A source close to Chris tells us there's a chance he'll reapply for Japan before the tour dates. His legal team thinks the case is dragging because cops have no case, and Chris' pockets shouldn't suffer in the interim.